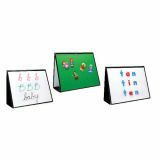 Flannel/Dry Erase Combination Board, 18" x 24"
Flannel Dry Erase offers two uses in one board! 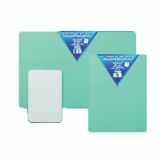 Soft flannel side accepts felt pieces (not included) for academic practice or creative play. 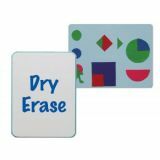 Plain dry erase on the other side can be used with all colors of dry erase markers for write-and-wipe activities. Flannel/Dry Erase Combination Board, 24" x 36"